If you’ve been following along our most recent posts of our trip from Africa, then you know how much we LOVED our trip. We’ve been on a lot of great adventures in several different destinations, but nothing has blown us away like Africa. After eight game drives over the course of eleven days, we saw beautiful animals in their natural habitat. We witnessed the animals enjoying their freedom in the wild and interacting with one another in their natural habitat, which is more than we will ever see at a zoo if we stood there 365 days a year. So if we haven’t already inspired you to skip the zoo forever and plan a trip to Africa, let our photos and favorite experiences do the trick. Our first “big” animal sighting that we will never forget and it happened just about an hour into our first drive. Our ranger and guide had heard that a pride of lion were spotted earlier in the morning, so they wanted to try and find them for us. It was almost a guessing game trying to think where the pride of lions may have walked to in the 74,000 acre park. Just as we were giving up, our guide pulled the car over, stood up with his binoculars to look out beyond a waterhole, when he suddenly jumped with a fist pump in the air – he found them! When we arrived to the pride of lion, again our first “big” animal sighting, we were ecstatic to see not just one lion, but seven lions with cubs! They were all very sleepy, but the momma lion would get up and give her cubs a little head bump “love” action. This animal sighting blew us away and from this moment, we were in love with Africa. We still cannot believe that on our first night drive, we spotted a leopard! Game drives during the morning are exciting, but game drives during the night is a whole other level of excitement. Viewing animals at night is incredible. We were the last jeep to arrive at the leopard spotting, but it turned out to be perfect because minutes after we arrived, the beautiful leopard decided to get up and walk. So what did our guide do? He started driving over every bush and tree in our line of vision and followed the leopard at a far enough distance not to disrupt her, but close enough that we could see her. We followed her in the bush enjoying every second of this thrilling experience. Most of the time we had no idea where the leopard was, we were just placing our faith in our guide and rangers hands, but every so often she would turn her head to us. In those moments when the light would hit her body, we would see one of the most beautiful creatures in the world. On our second morning game drive, we saw another pride of lions! This time it was three sub-adult lions who were siblings – two brothers and their sister. This was also the only time we saw male lions with a big mane. Though they were not full grown, their mane was awesome with a little mohawk. These lions were very playful. The brothers were “bro-ing” it out, adorable as ever and then one of them went and started playing with his sister by rolling around in the grass together. Moments like these are what make safari game drives lifelong experiences you will never forget. Almost the entire reason we went to Africa was to see cheetah in the wild. After three game drives at Phinda Private Game Reserve in South Africa, we finally spotted two male cheetahs. Since we had already seen lions and leopards the day before, everyone in the group was driven to find the cheetahs. We drove for at least an hour until our ranger spotted cheetahs over a 100 yards away laying down on a mound. How he spotted them is beyond us, we were just excited he found them. We were the only jeep in the park admiring the male cheetahs, who were actually brothers. They had just finished eating because their stomachs were big and they were panting hard. As we were taking pictures of them laying down, the cheetahs started to get up and stretch. Then they started to walk and we were able to drive right beside them – we were basically “walking with cheetahs in the wild” and it was amazing! We were finishing our bush dinner with our fellow safari companions when our guide told us about a lion sighting eating a carcass. He asked if we wanted to go back to the resort or do a second night drive and try looking for them…can you guess which option we chose? Since our ranger went home to his family, we needed a spotter in the front of the jeep, so Adam was able to volunteer and use the search light to look for the pride of lion, amongst other animals. Adam can now add ranger to his resume. We were driving slow searching for the lions when someone said they smelt something and simultaneously we all heard a branch crack. Adam moved his searchlight to the right of the jeep and spotted a lion! Then he moved the light again to find a jackal and two more lions! The lions had just finished eating because we found them deep inside the bush and walking away closer to us to move to a more comfortable spot. The lions all laid down, panting hard. Though we did not see them eating their carcass, it was still amazing to watch them pant so hard and see during night. It did not take them long to digest their food because one of the lions got up and moved way too close to us. We are not exaggerating when we say the lion walked right passed the jeep on Adam’s side. The lion was so close, Adam could reach out his hand and touch him, but Adam was too frozen to even let out a breathe of air. Another amazing encounter we will never forget – definitely not Adam. On our game drive in Chobe National Park, we heard a lion roar to our right and when we looked, we saw three female lions run across to a high grassy area. We drove slowly toward the pride of lions to see them more closely while bearing our surroundings. After a few minutes of taking photos of the lions, a herd of at least fifty elephants were making their way towards our jeep. We were literally in the middle of a battlefield. Yes, we probably should have started reversing the jeep, but even Walter was frozen in this moment. We stood still in our jeep watching the elephants come towards us and then pass on the right hand side of the jeep, while the pride of lions on our left never kept their eyes off of the them. Just when we thought we were in the clear, an elephant strayed away from its herd and went across our jeep into the lions territory. The elephant quickly spotted the crouched lions in the tall grass and moved forward to scare the lions away. This game viewing literally took our breathe away. Adrenaline was coursing through our blood, we just witnessed one of the most thrilling game viewing experiences of our lives. We were the only ones on a huge, double decker boat during our river cruise on Chobe River, which made every animal sighting more special because it was always just us and them. On our river cruise, we came across a herd of cape buffalo mowing down grass on acres of floodplain along the river. There were at least a hundred spread out on the vast floodplain. It was a game view we would see on the National Geographic Channel – it was absolutely amazing. We took our chairs and just sat on our big boat with our cold beers in hand, watching the cape buffalo graze the grass as if we were sitting in front of a tv at home. It may bot have been as exciting or thrilling as other animal encounters, but it was still truly remarkable. As we continued our Chobe river cruise, we came across several hippos resting in the water. Some would stare us down with piercing eyes, while others just turned away from their photo op. Near the end of our Chobe river cruise, we found a pod of hippos that were very active, so our captain, Walter, anchored the boat so we could watch the hippos in their natural habitat. When we arrived, the hippos must have just awoken because quite a few were yawning and we could see all the way down their throats – their mouths are huge! We also saw hippos play fighting and it was exciting to watch. They would open their mouths as wide as possible and almost kiss their noses together simultaneously. Then they would take their mouths and fill it with water and spray each other. In our experience, hippos are usually just floating in the water either watching us closely or diving back into the water. We had never seen hippos this active before, so it was incredible to watch. No safari trip to Africa is complete without a bush dinner. While we were staying at AndBeyond Phinda Mountain Lodge, we were treated to a bush dinner which remains one of our favorite dining experiences to date. The staff had created a restaurant with a full bar, kitchen, wash room and dining room in the middle of the bush, “game reserve”. There was a fire pit near the bar with lounge chairs where everyone enjoyed a few glasses of wine before dinner. The dinner was nothing but romantic – we were dining not just under the stars, but possibly surrounded by wild animals. A night we will always remember. We went on our safaris in South Africa and Botswana during the dry season and it was still beautiful. Of course you want to see animals during your safari game drives, but sometime the scenery is just as sensational. Phinda Private Game Reserve is interspersed with all seven of Africa’s diverse habitats to explore – the woodland, grasslands, savannah, wetlands, forest, and mountains. Everywhere we looked was stunning. Chobe National Park in Botswana was stunning as well. It is Botswana’s first national park and third largest with one of the most biologically diverse vegetations. Its vegetation varies from dense floodplains to the vast Savuti marsh (grassland). The Chobe River also runs through the park, allowing for not only magnificent views, but excellent game viewing too. After these incredible experiences in the African bush, we developed a new perspective for an animals’ well-being and have vowed to only admire them in the wild. I cannot express enough how life changing an African safari is – literally moved us to tears. To be honest, our photos do not do justice of how amazing each animal sighting was, but along with our stories, I hope they have still inspired you to plan an African safari. 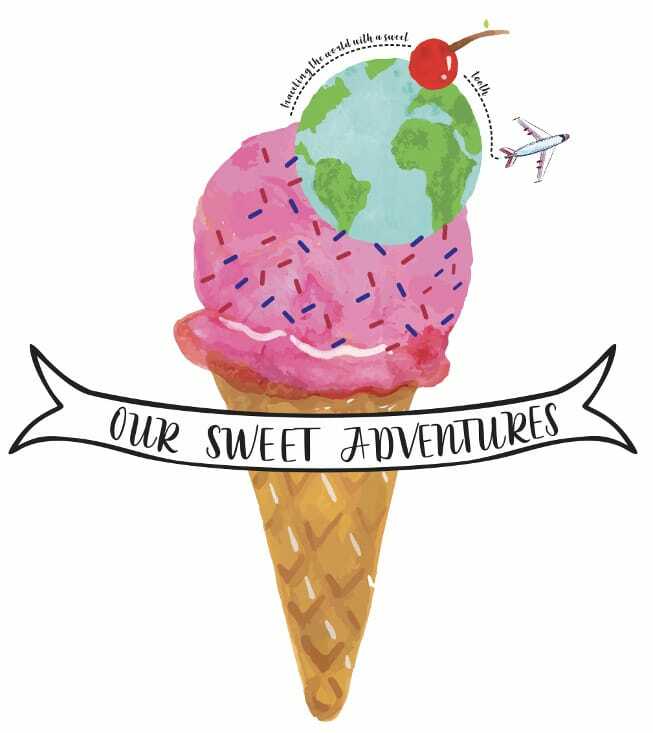 If you need help planning your African safari, use my travel agency, Sweet Adventures! To read more about our African safari at Phinda Private Game Reserve in South Africa, click here! To read more about our African safari at Chobe National Park in Botswana, click here! Your experience sounds so unforgettable! I’ve heard my parents tell stories of visiting Kenya in the 1970s, and I’ve thought the African bush sounded like an amazing thing to see ever since. Your lion photos are so cute!! Your pictures are truly inspiring me to finally go in the planning of our upcoming Tanzania Trip. It’s been ages since I want to see those beautiful wild animals in their natural habitat. You will remember your trip for ever. Truly an amazing experience to be on Safari. The animals are incredible to see in their natural habitat. This definitely makes me want to take a safari! So high up on my bucket list! Safari is always so much fun and I’d been told Botswana was the best place to go? I’m inspired by Peter Allisons books about his adventures as a tour guide to get out there and see this for myself! I loved your account of the elephant meeting the lions. There is nothing as blood curdling as an angry elephant or a peeved lioness! This is inspiring for sure. I’ve heard a lot about Botswana. Definitely seems like a great place to plan a safari. Your photos were amazing. Need to think about planning something in the next 2-3 years when my children are a little older. We have seen the price go 2 ways with kids. Either they are free to go on Safari until about 8 or they cost the same no matter what. Botswana does have some amazing viewing. Beautiful! It’s really amazing that you were able to take photos of wildlife. They look so cute that it’s hard to believe that they are top and powerful predators. We hope we can visit the nations of Africa in our lifetime. IT was incredible to see Lions acting like house pets when they were cuddling together. You should definitely try and make it ASAP. You will not regret it. I am a part jealous and a part excited now as I so wanna do the African safari. Have heard so so so many stories of Africa and how gorgeous the country is. No doubt, I am already drooling over all the pictures and it is high on my list of places to visit this year. What stunning captures. If this does not motivate one to visit Africa and lose oneself in the wilderness, well nothing will. Each one of the pictures have captured a slice of Africa. But my favourite pictures are those of the lions. Really stunning and this can only happen in Africa. The animals made it easy to take great photos. They were so beautiful and great subjects at times. Giving us the perfect yawn and play time with others. Africa was amazing. Aaaaaaamazing. I’m going on safari at the end of this year and I just can’t wait. Your pics look absolutely incredible – what an experience! Amazing captures of the jungle safari. We recently went to a National Park here in India and loved the calmness there. This post tempts us to pack our bags and head out for another safari right now. There is something about a safari…. It is very calming but still so enjoyable. Where did you go in India? Have wanted to go on safari and to Africa since I was a child. Number one on my travel bucket list. Thanks! I say yes for everything! I did Safari in Tanzania last year it was amazing. Could not do the night safari sadly, but we did stay in camp in Serengeti. Would love to experience all of these again. The night safari was cool especially getting to see the Leopard and Lion in action. We have heard great things about Tanzanian safaris.